I’ve not written much here for the last week or so, but I have a good excuse. I’ve been heads-down to complete a number of chapters for my Exchange 2010 SP1 book to be able to submit them to Microsoft Press and begin the editing process that eventually leads to publication. I’m happy to say that the chapters have now been handed over and I am off for a few days to the South of France to clear my head, drink some wine, and have a look at the property that’s available in the Carcassonne-Narbonne-Perpignan triangle. A number of changes have occurred in the book’s structure. I split chapter 1 into two (logically now chapters 1 and 2) to give the process of installing Exchange 2010 its own coverage. Maybe this is because I have spent a lot of time installing, deinstalling, cleaning up and removing Exchange 2010 servers in the last few weeks. One thing I have learned is that you can’t repair an Exchange 2010 (or Exchange 2007) server that’s missing something like a registry setting. Invariably, the setting turns out to be just one of a set of symptoms that become increasingly hard to track down and the final solution is to flatten the server (perhaps even involving using ADSIEdit to amputate it from the Active Directory) and the reinstall from scratch. Such is life. The content has also grown to some 412,000 words. This is a lot and there is more to come because I know there is some new functionality that deserves attention that will only start to appear in a build that Microsoft will release early next week. I will have to start to think about how to remove some of the existing text to fit new material in so that I can keep the book to a reasonable size. The more pages, the harder the task becomes to copy-edit, format, review, and publish… not to mention the weight of the blessed thing. I’m also happy that Microsoft Press and I have agreed on a suitable technical reviewer. This is an important role for a book. I have many peer reviewers, people who will read material and comment back on it, including pointing out errors or places that they think deserve more attention. A technical reviewer takes the task to a whole new level and goes through a book from start to end to ensure that the material is as technically correct as it can be. 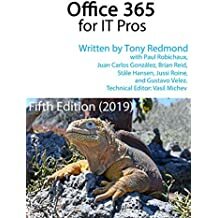 I have been sharing the task of technical review for the Exchange 2010 Best Practices book from Microsoft Press that is soon to appear and there’s a heap of work to do – most chapters arrive as 60-70 page documents that have to reviewed and returned in a few days. It’s far different to the work required to review a magazine article as there’s more text to cover in a shorter period. I wish that my previous publisher had taken such a strong stance on the topic as there are a few errors in my Exchange 2007 books that should have been picked up and fixed before publication. Microsoft pays technical reviewers and holds them to account for the quality of the review and it’s good to see that they take this role so seriously. In any case, I won’t tell you who the technical reviewer is for my book just yet as he may not welcome an announcement in a blog. Suffice to say that he’s an Exchange MVP with a lot of hands-on real-world experience, which is exactly what I wanted. I expect that Microsoft Press will start to output formatted chapters for review by May 10 and then the hard graft of reviews, responding, and chasing the last facts begins. Cant wait to get 13 on my hands!